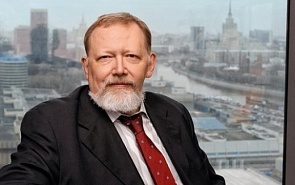 Member of Supervisory Council, member of the Strategy and Corporate Governance Committee of the VTB. The financial crisis in China is a kind of an exam, which gave us all a chance to assess both the level and the quality of that country’s financial market. Russia is now performing wisely as it tries to keep a balanced budget and avoid a major deficit. The incumbent authorities remember the lessons of the 1990s, when they had to resort to issuing public short-term obligations to keep the budget afloat, which predictably provoked the 1998 default. Sanctions, no matter how they are presented, strengthen hardliners who want to position themselves as builders of independent sovereign states. In the short term, they will stir up passions. Russians are ready to support their leaders in this difficult period of confrontation with the outside world. Today, all global financial architecture decisions are produced by the active participation of states in all stages of the international division of labor rather than in the traditional IMF and IBRD formats or by creating additional financial institutions. Russia's national economy has faced dramatic challenges in the period of recovery and structural adjustment following the 2008-2009 economic and financial crises.The current “zero growth” phase of economic development will be followed by long-term “stagflation” with capital flight and social degradation. At the end of June a number of new faces appeared in the Government and in the Presidential Executive Office. The Economic Development Ministry got a new head, while Elvira Nabiullina took the helm of the Central Bank of Russia. All the new appointees have always strictly followed these rules in their previous positions. The existing list of state-owned companies marked for privatization includes a wide range of companies in various industries which may be owned by federal, regional or municipal authorities and which also vary in the form of ownership – some are joint stock companies while others are municipal enterprises or state companies which are structurally part of government agencies. This heterogeneous lot cannot be privatized following a uniform procedure. Can Russia Help the Eurozone out of Crisis? Russia’s economic role will more likely be to create demand for products and services produced in the EU, along with other emerging markets fulfilling their WTO commitments. To do that, Russia needs special agreements with the European Union, which effectively operates as a customs union. Neither Russian businesses nor government economic regulators have learned how to extract positive results from Russia’s involvement in globalization. Instead, Russian business leaders and analysts view globalization as a threat, or at best a challenge, but never an opportunity.